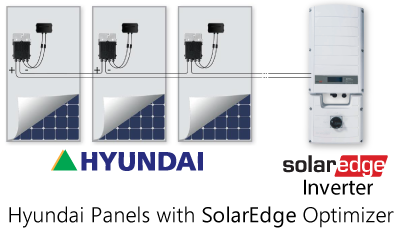 The SolarEdge DC-AC PV inverter is specifically designed to work with the SolarEdge power optimizers. Because MPPT and voltage management are handled separately for each module by the power optimizer, the inverter is only responsible for DC to AC conversion. 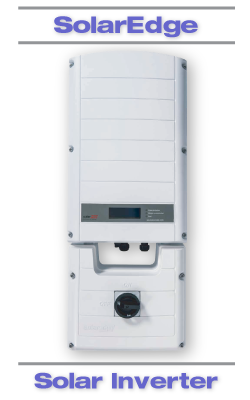 Consequently, it is a less complicated, more cost effective, more reliable solar inverter with a standard 12 year warranty, extendable to 20 or 25 years. The fixed string voltage ensures operation at the highest efficiency at all times (>97% weighted efficiency) independent of string length and temperature. .. . . . . . . . . . . . . . . . . . . . . . . . . . . . . . . . . . . . . . . . . . . . . . . . 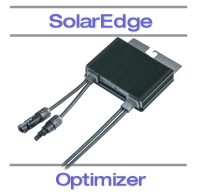 The SolarEdge module add-on power optimizer is connected by installers to C-Si and thin-film modules. Easy installation is completed by simply clipping the power optimizer to the module frame or by attaching it to the rail with a single screw. 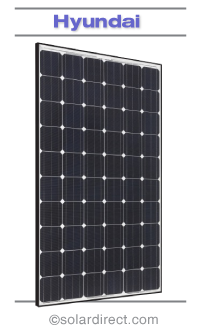 • Mount - UniRac Solar Mount Frame; mounting on a single story AS shingle roof, with a wire run up to 100 feet to power Distribution Panel.